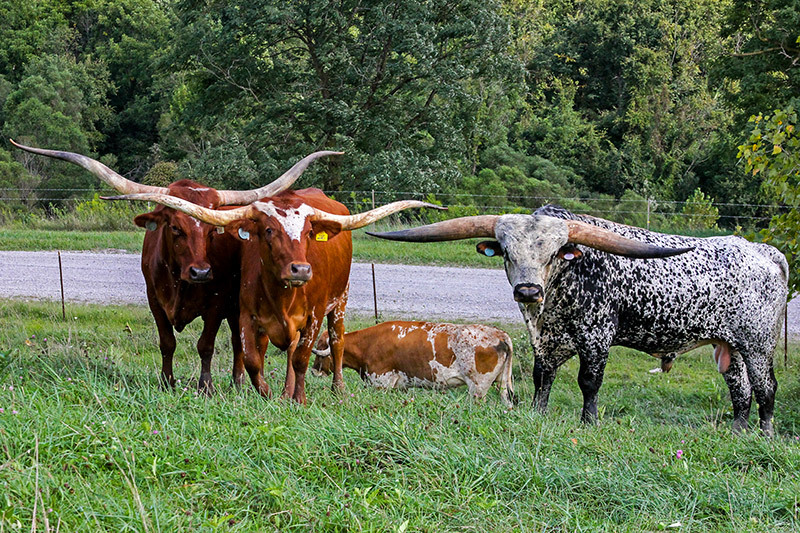 Flare Galore hanging out with some nice donor cows. 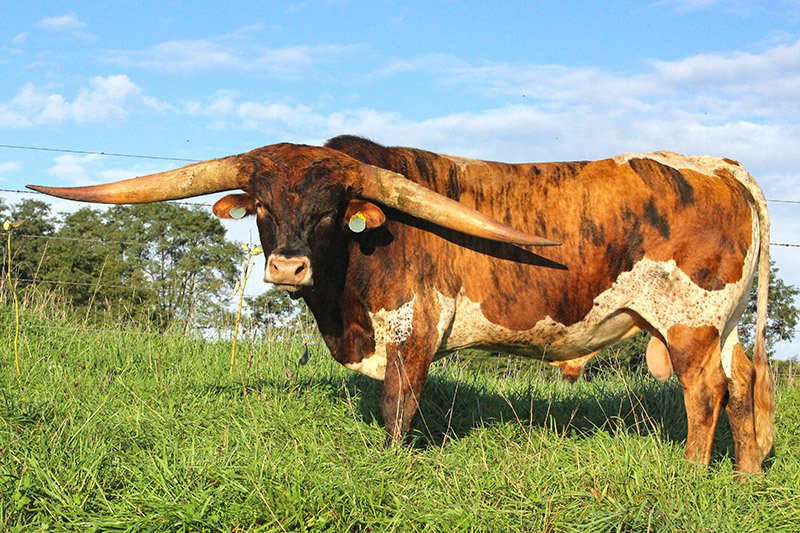 1320 lbs and T2T is 90.75"
Get set up and running quickly with Texas Longhorns. 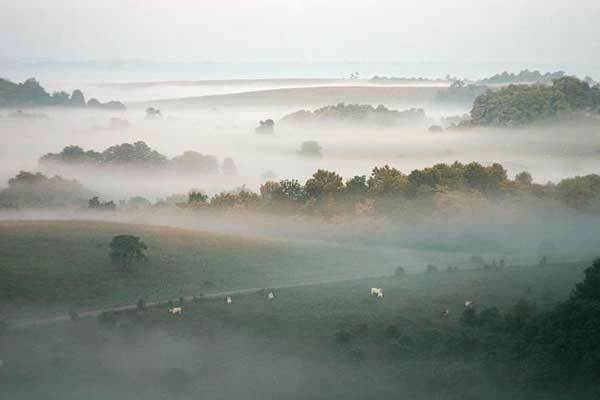 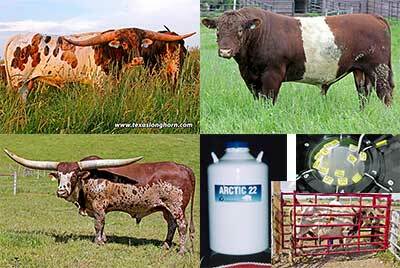 Here is a list of 12 essential articles that every new breeder should study. 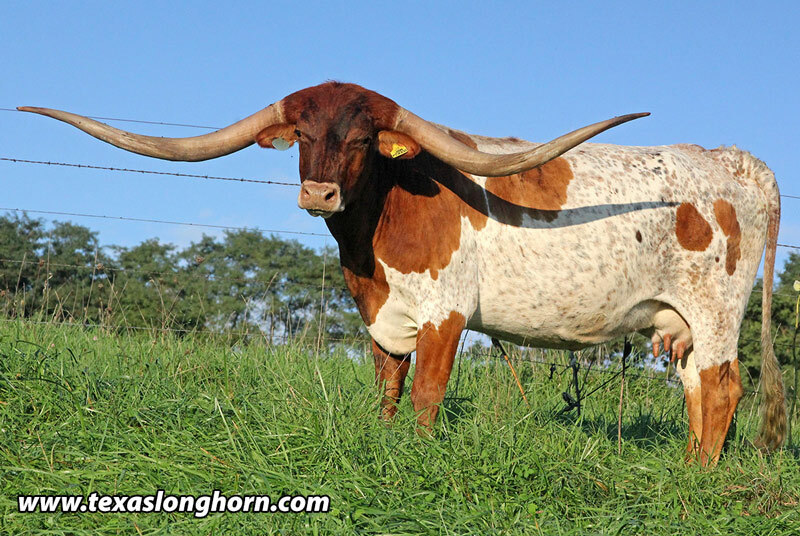 This is Part 2 to help new enthusiasts get up and running quickly with Texas Longhorns.12 more essentials that every new breeder should know. 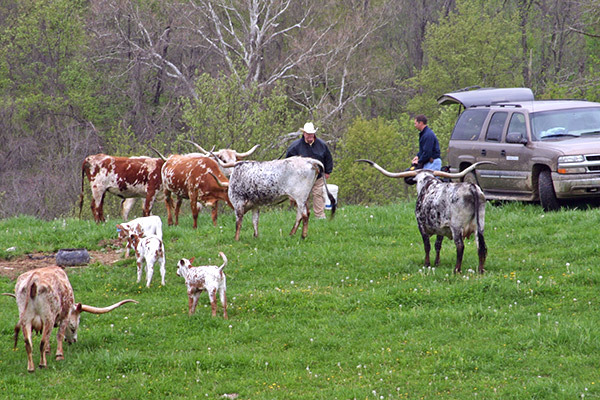 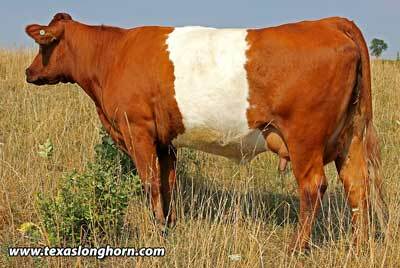 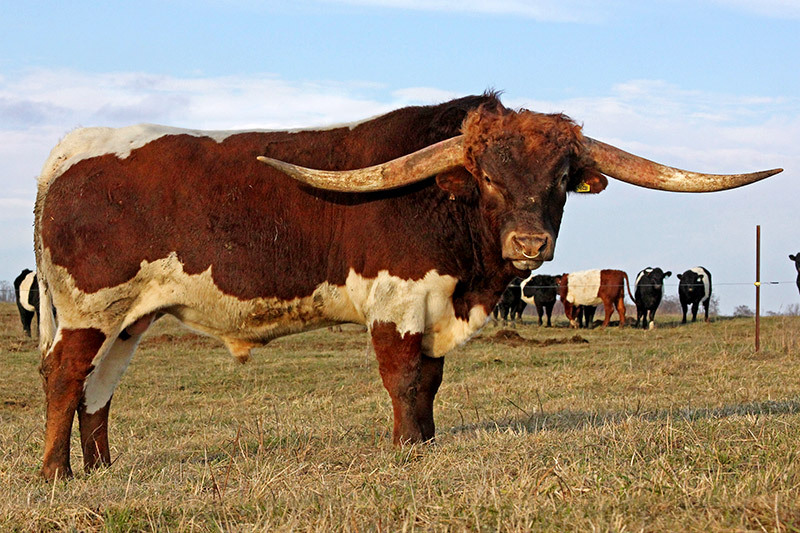 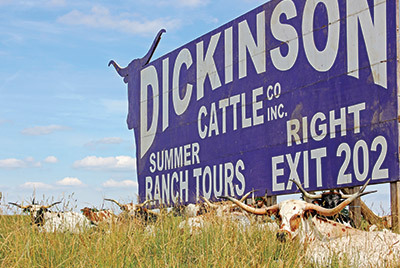 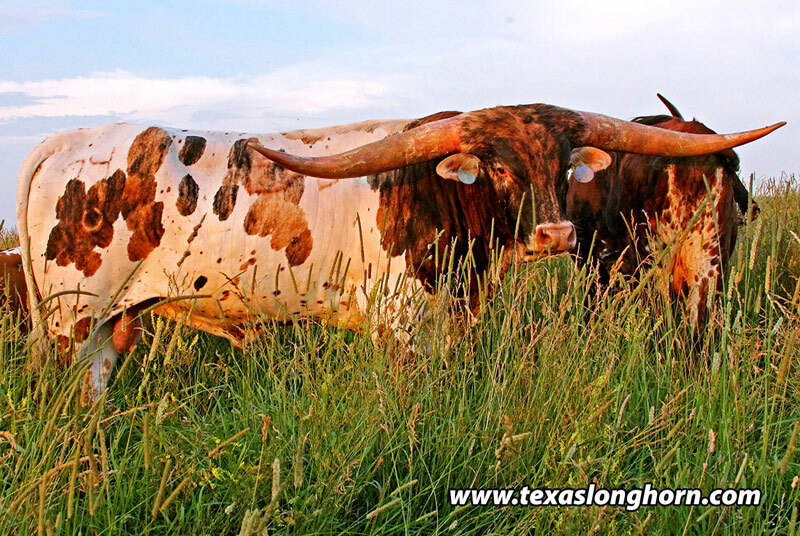 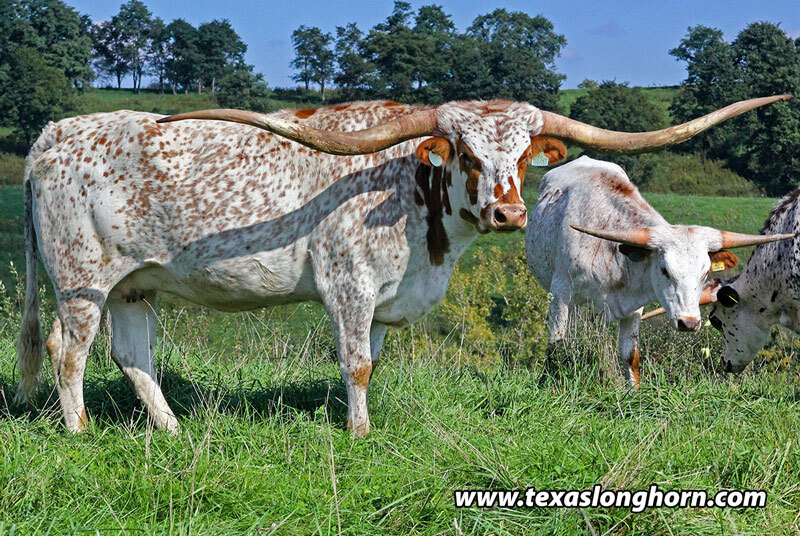 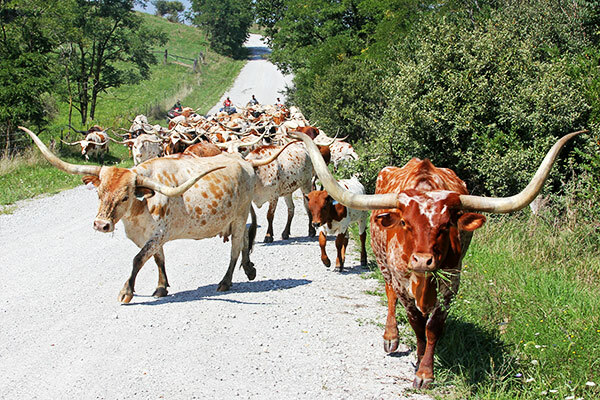 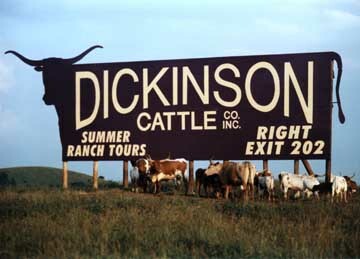 Improved Quality Texas Longhorn Cattle - The original American breed for survivor profit. 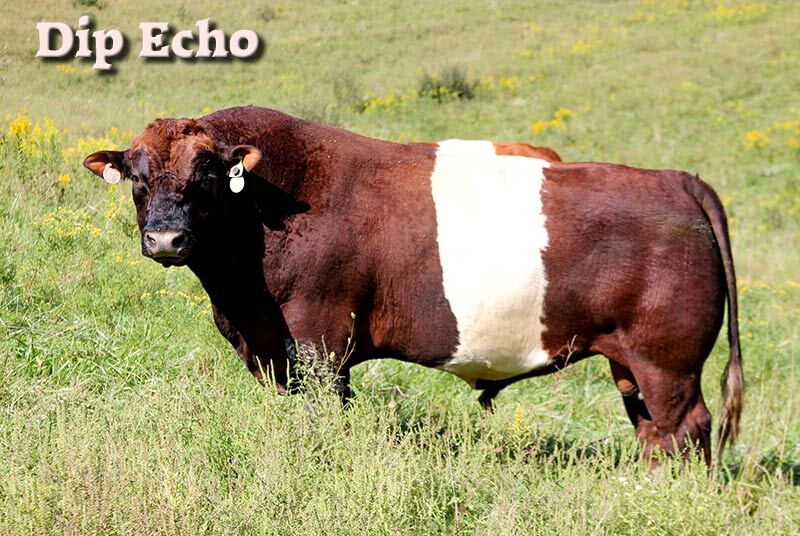 BueLingo Cattle - Developed in North America with performance tested Dutch roots for fast profits. 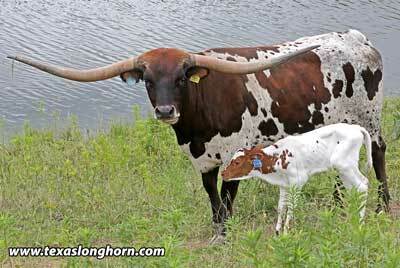 Watusi Cattle - The Cattle African Kings fought over for 7000 years. 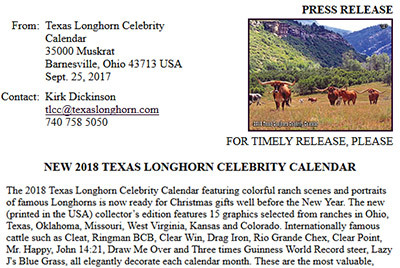 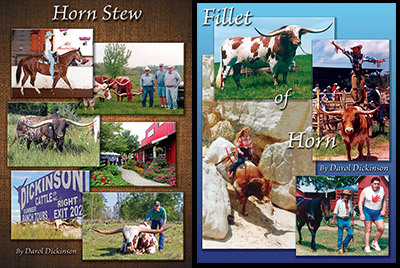 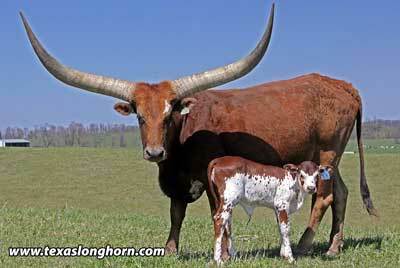 Order our New Horn Stew Book, older Fillet of Horn Book, or Texas Longhorn Celebrity Calendars.